Singer Micheal Ross releases new hit ‘Tobiwanvuya’. 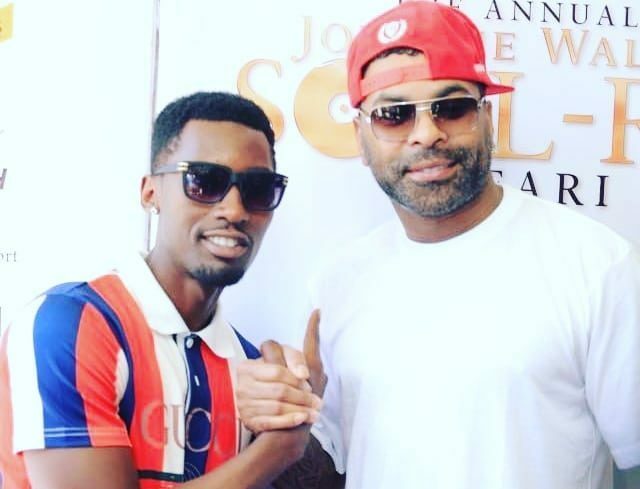 KAMPALA– Ugandan singer and break dancer Micheal Ross has released a brand new song after he was thrown off stage and embarrassed by bouncers of American Ginuwine at the Annual Jonnie walker Soul R& B concert at Speke Resort Munyonyo last month. After so long without realizing any hit, Ross has come out with a song titled ‘Tobiwanvuya’ which one would say the artiste has resurrected. By mare listening to this audio, the embarrassed break dancer asks fans and the public not to prolong events of his humiliation where was thrown off the stage. Ross was December 1 ashamed when he was lifted and thrown away from the stage at the Annual Jonnie walker Soul R&B concert at Speke Resort Munyonyo when he uninvited jumped onto the stage while an American soul singer Elgin Baylor Lumpkin better known as Ginuwine was performing. However, while commenting on the incident, Ross said he was since childhood inspired by Ginuwine but never had a chance before to meet him and that by the time he jumped onto the stage; the International singer was performing his (Ross) favourite song.